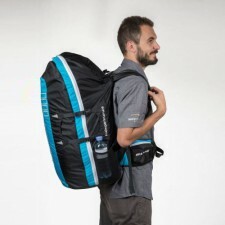 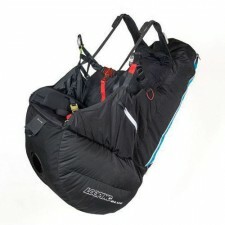 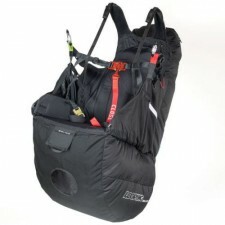 Looping at „rucksack mode“ is enlarged by an expansion pocket, while at „harness mode“ that flexible material tightens the harness back part aerodynamically. 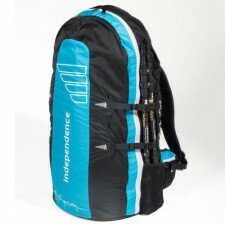 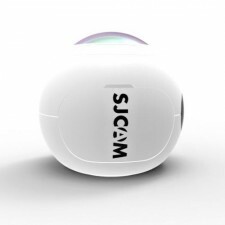 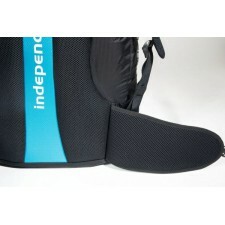 That smart reverse system design separates rucksack and protector completely, for the first time ever. 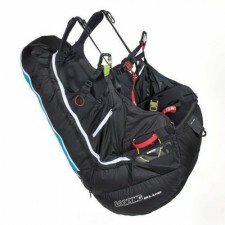 Up to now this part of a reversible harness had always been rucksack and airbag protector at the same time – thus was exposed to possible damages during transport. 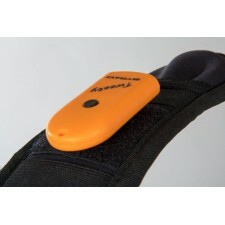 The airbag protector has a deceleration rate of less than 20 g – the best result we ever achieved. 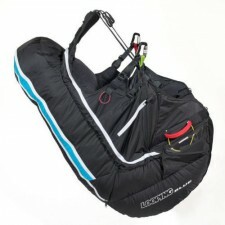 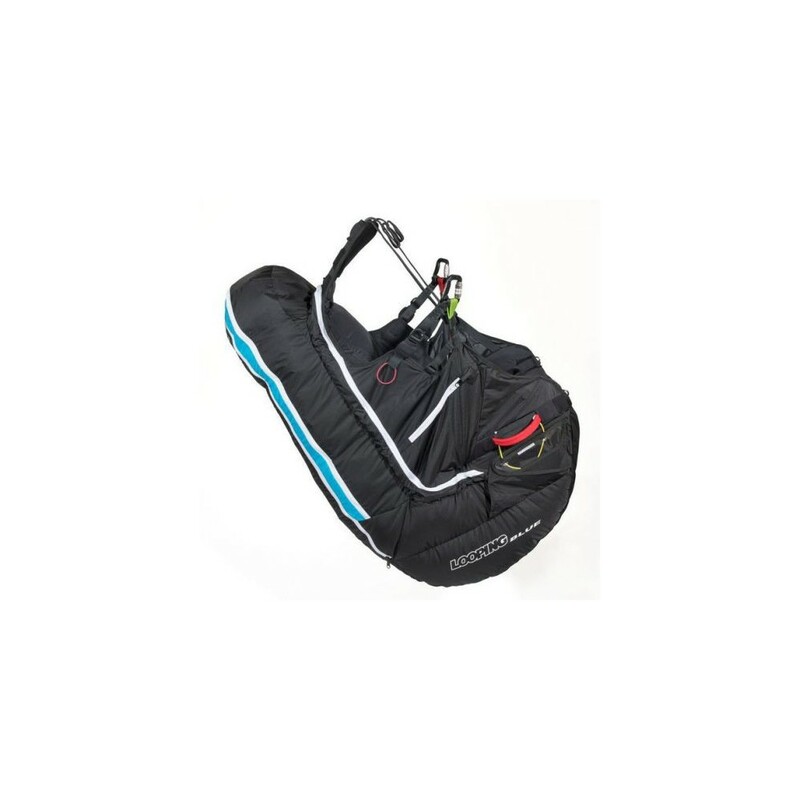 In order to provide a concept for every personal preference, Looping GREEN has a get-up system, where leg and chest strap are locked with only 2 buckles. 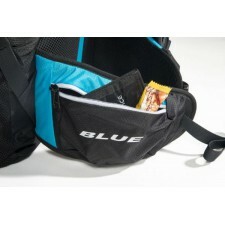 Whereas Looping BLUE is equipped with conventional webbing and a T-Lock buckle. 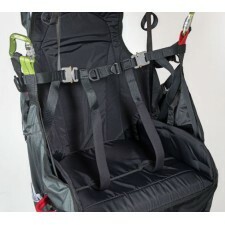 Looping provides an ideal, uncommitted seating position, rendered possible by its newly designed main suspension. 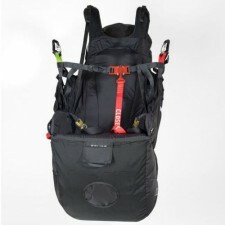 Combined with individual adjustment of shoulder and back part, every pilot is going to find a seating position, which ideally suits him. 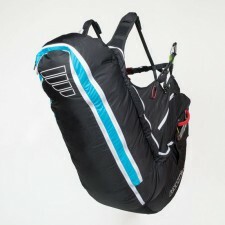 The geometry of Looping meets the demands of ambitious thermal pilots and of hike & fly pilots, providing an outstanding canopy feedback! 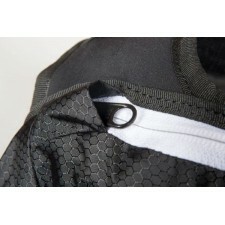 The sizes given only are references, as the individually suitable size differs according to physique and personal preferences.